Outside of a few high clouds, mostly sunny conditions are forecast today with highs in the 80s and 90s. There will be a threat for the spread of grass fires for areas west of I-35. 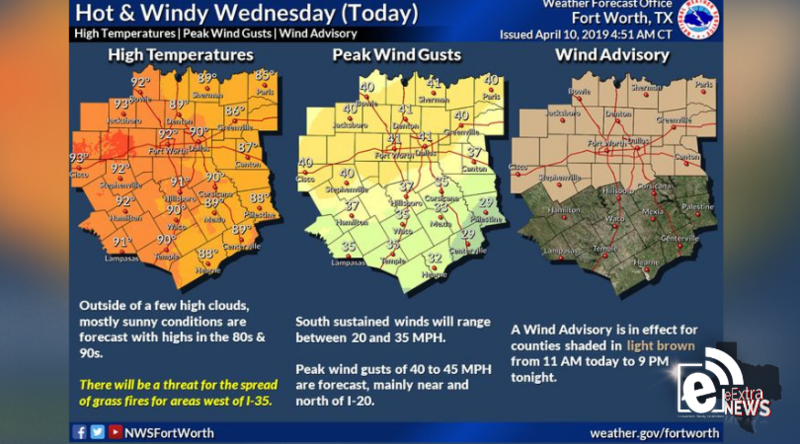 South sustained winds will range between 20 and 35 MPH with peak wind gusts up to 40 to 45 MPH. A Wind Advisory will go into effect at 11 AM and run through 9 PM for parts of the area.